After the 2004-2005 NHL season was locked out (thanks Mr. Bettman), the NHL decided to introduce the shootout after a 5 minute overtime as a way to get rid of ties. They figured, “why not put the NHL’s talent on display in a skills competition to break ties?” Initial reviews of the shootout were great. We saw Dallas Stars‘ forward Jussi Jokinen captivate NHL audiences with his array of moves en route to going 9-for-9 before finally being stopped by one Vesa Toskala (oh the irony). We saw the magic of Pavel Datsyuk and his “Datsyukian Dekes”. Now, we are quickly closing in on 10 years of the shootout, but the novelty is gone. The shootout has lost the glamour that surrounded it and now it is largely viewed as a trick shot competition. Would the NBA decide a victor by playing a game of H-O-R-S-E after the first overtime? Would the MLB decide a game that went extra innings with a homerun derby? The answers to those two questions are obviously a resounding no. So then why does the NHL insist on doing this? Before we touch on alternative options, I want to discuss how the shootout has drastically altered the NHL without a significant number of people recognizing it. 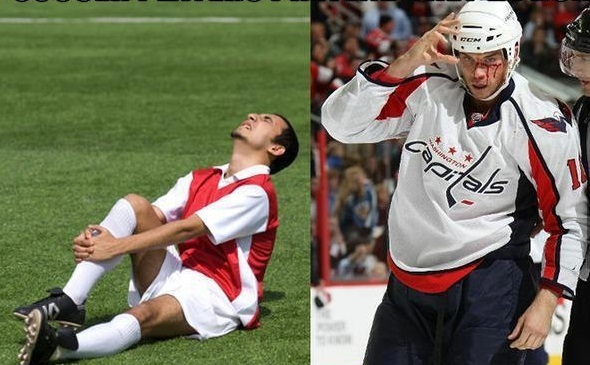 Pavel Datsyuk performing his famous “Datsyukian Deke” on Dallas Stars’ goaltender Marty Turco. What can you see from this? Well, the four highest percentage of games that went to shootout have occurred in the last 5 seasons. This season, we are on pace for a record number of games to end in a shootout. This is because teams have adjusted the way they play in the late stages of the 3rd period and overtime. Teams are very reluctant to make it the fast-paced, high octane event that we all anticipate when it goes to 4-on-4 hockey in overtime. Instead, you’ll see teams generate one or two shots as they hold out hope for a win coming via the shootout. It can be absolutely ridiculous at some times. For example, the Pittsburgh Penguins, New Jersey Devils, and Stars lead the way, having each won 56 shootouts since the addition in 2005-2006. That’s insane when you think about it. Nearly 17% of the Stars’ wins over the last 8+ years have come in the shootout. Imagine how drastically different their record would be without the shootout? From the Devils’ perspective, it’s not so much about the team as it is about one particular player – Martin Brodeur. We know that Brodeur is the all-time winningest goalie, having won 677 games to date. However, Brodeur is the winningest goalie when it comes to the shootout, having won 40 games. 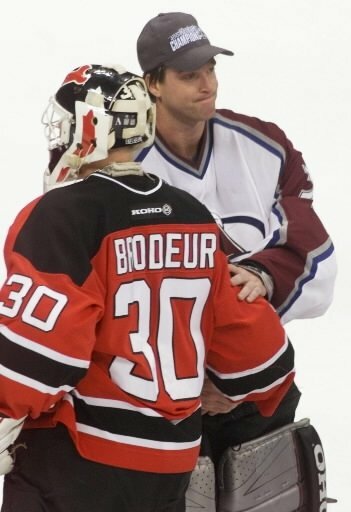 Obviously if we take away the 40 wins from Brodeur, he’s still at 637 and well past the previous record of 551 wins set by former Colorado Avalanche goaltender, Patrick Roy. However, it is interesting to note that Patrick Roy played in 131 games that ended in a tie. What happens if Patrick Roy gets the opportunity to take those games to a shootout? How many does he win? 50%? 60%? Even 75%? The man was the most positionally sound goaltender in the history of the sport and had the fundamentals to recover from any mistake. Brodeur has a 40-27 career record in the shootout so we could only expect Patrick Roy to be in a similar ballpark. Obviously, a lot of this is centered around “what ifs”, but you have to believe that Patrick could have added anywhere from 70-80 more wins, especially with guys like Joe Sakic, Peter Forsberg, and Chris Drury shooting in front of him. Martin Brodeur (left) exchanges words with Patrick Roy (right) after the 2001 Stanley Cup Finals. From the Penguins’ perspective, it’s obvious. Why open up the ice in overtime when you have Sidney Crosby and Evgeni Malkin shooting for you? I mean that’s why the Penguins are an outstanding 56-30 in the shootout and are a sparkling 32-8 in the last 5 years. However, one thing that did strike me as curious was that the Penguins’ worst year in the shootout with both Malkin and Crosby came in 2008-2009, where they went just 6-6…but won the Cup. That got me thinking…do teams that earn a higher percentage of points from shootouts fair worse in the playoffs? I took a look at every postseason since the lockout (excluding last year’s shortened season) and found some interesting numbers. There is a positive correlation between the percentage of wins that are regulation/OT wins and playoff success. Looking at every playoff series from 2006-2012, I found that the team with a higher percentage of regulation/OT wins won 57.3% of the series played. Only one team between 2006-2012 reached the Stanley Cup Finals having more than 18% of their wins be shootout wins (2012 Devils – 25% of wins were shootout wins). 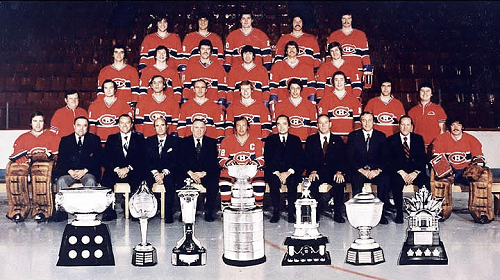 The average percentage for Stanley Cup Champions was 88.2% or about 44 out of 50 wins being regulation/OT. The average percentage for Stanley Cup finalists was 87.6%. So where is all of this heading? What I’ve shown you so far is that the percentage of games that go to a shootout has slowly increased over the last few years as teams refuse to open up the game in hopes of earning the two points in a shootout. I’ve shown you how Dallas has found a way to win shootouts consistently, earning 17% of their victories via the trick-shot competition. Who knows how well they would have faired if those games ended in ties? That’s 56 points lost over the last 7 years, or an average of 8 points a season. I’ve showed you how Martin Brodeur is rewriting the goaltending record books, but we should all take this with a grain of salt as he has the benefit of playing in the shootout era. Brodeur has played in 67 games that went to a shootout and we already touched on how Patrick Roy played in 131 games that ended in ties. Who knows how many of those games he could have won in a shootout. Perhaps, a better point to consider would be how many games could the Avalanche have locked down in the 3rd period and overtime during the trap era (1994-2004) in hopes of getting to a shootout, knowing that they had one of the greatest goaltenders of all-time and a few of the greatest snipers? Lastly, I showed you that the shootout does not determine which team is better. It does not help predict playoff success. In fact, doing worse in the shootout and earning a higher percentage of points in regulation and overtime is a positive predictor of playoff success. It’s time for the NHL and us fans to recognize the shootout for what it is – a gimmick. It’s not a fair way to determine who wins and who loses because as I’ve shown you here, it does not actually help predict which team is better. 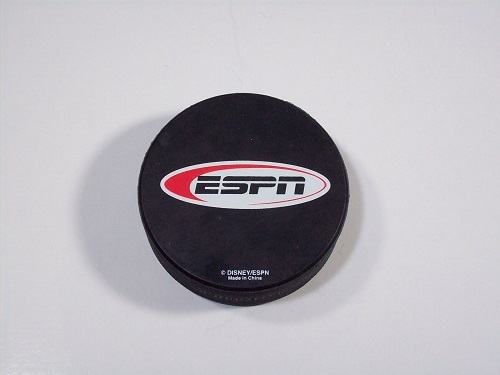 So unless the NBA is ready to go to a H-O-R-S-E competition after the end of the 1st overtime, or Major League Baseball chooses to adopt a homerun derby after the 10th inning, I say the NHL do away with its trickshot gimmick and let the teams decide the outcome. My personal preference? I like a version of Ken Holland’s idea where the first overtime session will last 5 minutes and it will be played 5-on-5. Then the next overtime session will last 5 minutes and be played 4-on-4. The last overtime session will be played 3-on-3 and it will be played until we have a winner. I think this minimizes players’ concerns of increased physical toll as 4-on-4 and 3-on-3 rarely involve hitting. I think fans will enjoy this because with so much open ice, fans will still be able to see the individual brilliance of Pavel Datsyuk, Sidney Crosby, Alexander Ovechkin, and more. It’s a win-win solution and a far better one than the current format. Prashanth is a third year doctor of pharmacy student at the University of North Carolina Eshelman School of Pharmacy in Chapel Hill, NC. Prashanth is studying to be an infectious disease pharmacist, but in his spare time, he watches any hockey game he can catch. He was born and raised just outside Detroit, Michigan and hence is a big Red Wings fan. He is always willing to hear any and all debates pertaining to his articles, so feel free to contact him. Just a heads up - the picture you have of Datsyuk on Turco actually happened on a breakaway in normal play, at the end of the second period. Wow! It appears the only ones whining about the shootout are the teams that are not winning the shootout. I can guarantee you that fans certainly don't want to see ties. 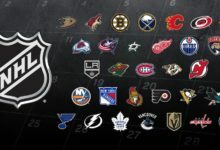 Since the NHL is trying to shorten the time it takes to play games, I doubt you will see the 4 on 4 go to a 5 on 5 OT, then to 4 on 4, and then to 3 on 3. 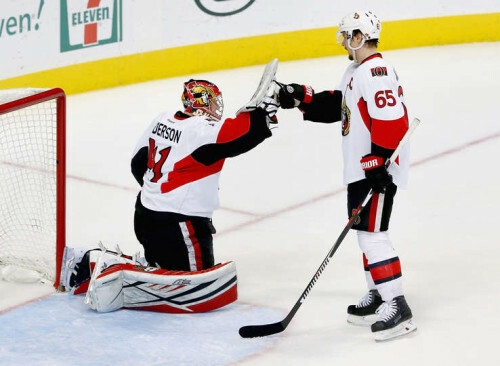 If you want to make teams try harder during regulation, then make make it 2 points for a regulation win and 1 point for an OT or shoot-out win and just eliminate the point for a shoot-out or OT loss. I really enjoyed your article. I too agree that the shoutout is an unfair way to dispute the victor. Good old sudden death over time has never failed in the past and I feel would be the only fair way to end a hockey game as in all other sports. We like to honor numerous other world wide web web pages around the web, even when they arent linked to us, by linking to them. Under are some webpages really worth checking out.